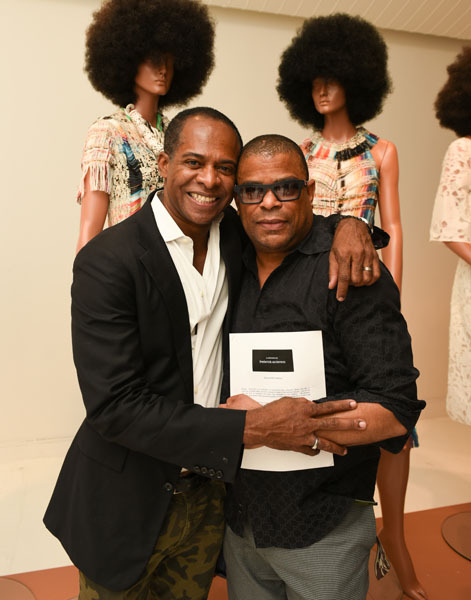 Fashion veteran, Frederick Anderson showed his second collection entitled, African – American, last night at The Townhouse. 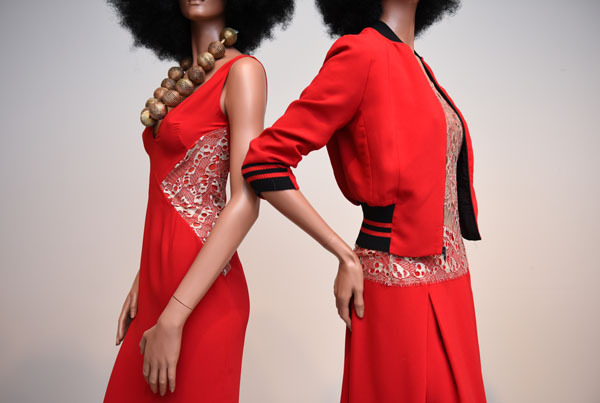 The collection is a continuation of Anderson’s first collection, Black Like Me, in exploring outdated labels, not only in society but also in the fashion industry. Just as the way we look at ourselves and others has changed so has fashion. Sportswear, daywear and athletic wear now blend together to make up a wardrobe for a modern day woman. The s/s 2018 collection has a touch of the throw back with the earthy sexiness of the 70’s juxtaposed with Anderson’s African travel influences. The color red is a mainstay through embracing the spirit of the vitality, wealth and aggression of the continent. Active wear inspired tank tops and shirts are elegantly elevated in lace, and then casually paired with crepe and sheer ribbed joggers. An elongated sleeveless red shirtdress becomes ready for night. A bomber jacket has become the new suit when paired over a lace top and box pleat skirt. Tweed and feather fringe adds a layer of playfulness to tailored sheaths and skirts. Shear laces are treated as knit separates with the lace hoodie over a tank becoming the new twinset. The show stopper was a pleated gold lame halter top and matching palazzo pants, perfect for a black tie event or entertaining at home.